Students - Today's poem came from my own wonders about migrating birds (How do they KNOW?) 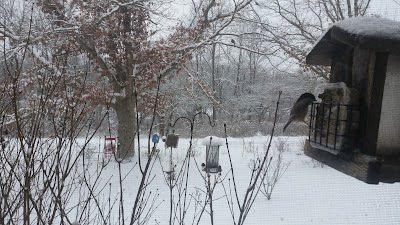 and from the birds we see in our yard each winter. Today I share a questioning nature poem - from Chickadee's point of view - in honor of our special guest, a poet I admire so deeply. 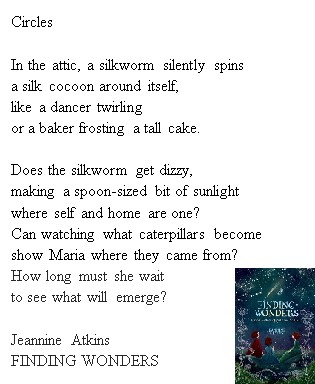 It is my absolute honor to welcome Jeannine Atkins, author of, among other books, BORROWED NAMES, LITTLE WOMAN IN BLUE, VIEWS FROM A WINDOW SEAT, and her latest...gorgeous...FINDING WONDERS. Stay tuned for her forthcoming STONE MIRRORS (later this month) but today, please enjoy Jeannine's words about FINDING WONDERS, a book that has received stars from both Booklist and The Bulletin of the Center of Children's Books, a book that has been named a Book that Makes a Difference by The Horn Book, a book that has made me cry and cheer out loud. I asked Jeannine, "Do you feel that you BECOME these girls when you write about them?" She answered, Yes, there is some sense of channeling, of reading enough and getting the details till I feel like I have a special key. 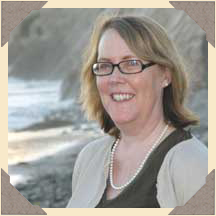 Welcome, Jeannine! Please tell us about this latest book. 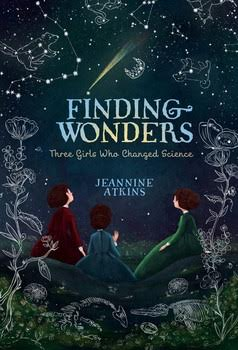 Finding Wonders is about three girls who were born in earlier centuries and whose lives focused on the close looking needed in science. Poems often begin with close looking, too. I want to see past words, which sometimes seem in the way, to what’s in front of my eyes. Maria Sibylla Merian grew up helping her stepfather in his studio and learning to paint. She loved the colors of butterflies, moths, and flowers, but she was even more fascinated to watch how a small animal changed, from a caterpillar or silkworm to a chrysalis or cocoon, then to a butterfly or moth. 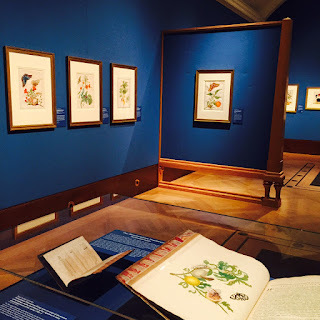 Maria Merian’s paintings had to be still, but sometimes she painted all the stages of a life in one picture. To write some poems, I also wanted to show these small creatures in motion. I watched videos of silkworms spinning sticky silk around themselves, and weeks later, breaking open the cocoon. I wrote metaphors comparing the spinning to dancing and twirling a spoon around a cake to frost it. Can you watch an action, such as a caterpillar crawling up grass or a spider making a web? Try comparing the motion to something from your own life. 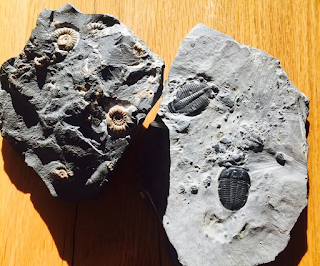 Writing about Mary Anning, the first person to make a living selling fossils, meant I had to imagine her life, back before there was a word for “dinosaur.” In my mind’s eye, I saw Mary walking down the beach, picking up what she called curiosities. 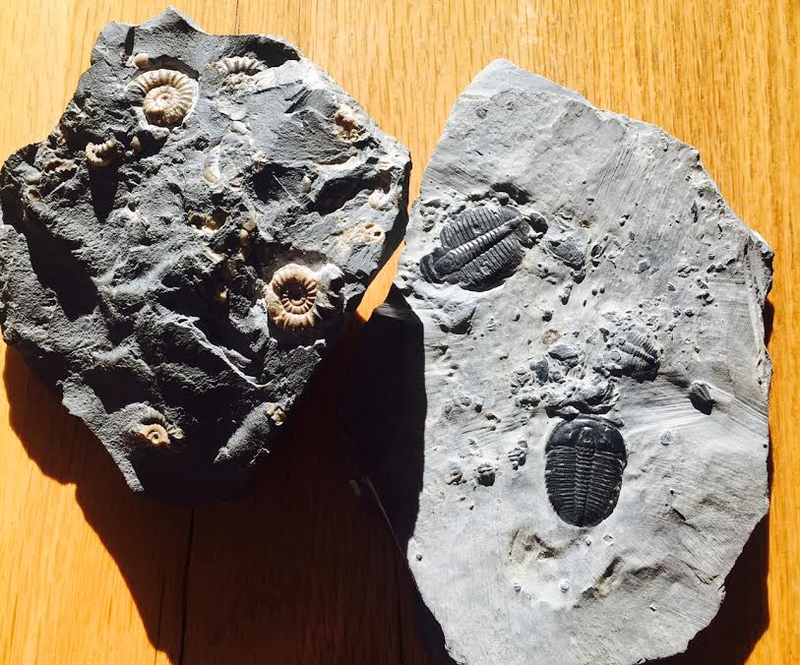 These stones with an impression of plants or animals are what we call fossils. I wrote about the questions these stones might have raised in her mind. Choose a scientist from the past to write a poem about. What do you know now that she or he wouldn’t know then? Can you write a poem as a conversation between you and this scientist, speaking about something now known that wasn’t known long ago? Thank you so much to Jeannine for joining us here this week...and we are even luckier still because Jeannine is offering a giveaway of one signed copy of her book to a commenter on this post. The winner will be posted in this same space next Friday, January 13, so please leave your comment by Thursday evening, January 12. Linda is hosting today's Poetry Friday roundup over at TeacherDance. Head on over and join the poetry joy. All are always welcome. So much to love about this post - your poem, Amy, and Jeannine's interview. We'll be reading Finding Wonders as part of our biography unit, and I can't wait to share it with my students. Your chickadees made me smile as they wondered about their friends gone for the winter. I enjoyed the interview with Jeannine. I can't wait to read Finding Wonders and share it with my daughter. Tell that chickadee that in Colorado there are no cardials, so he is lucky to have them. I do understand about the turning around and missing the friends. Love this, Amy. I've loved all of Jeannine's books, and am in awe every time that she places us so beautifully under the skin of those whose story she tells. 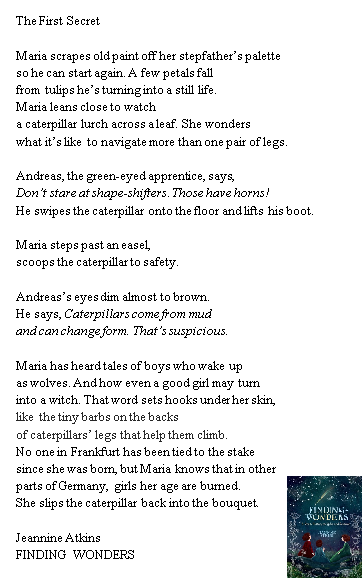 When she wrote that scene of wondering about the caterpillar, I was glad Maria put it back. How talented Jeannine is to show fear in just a few lines. Looking forward to Stone Mirrors. Thanks for all! Thank you for this inspiring post! 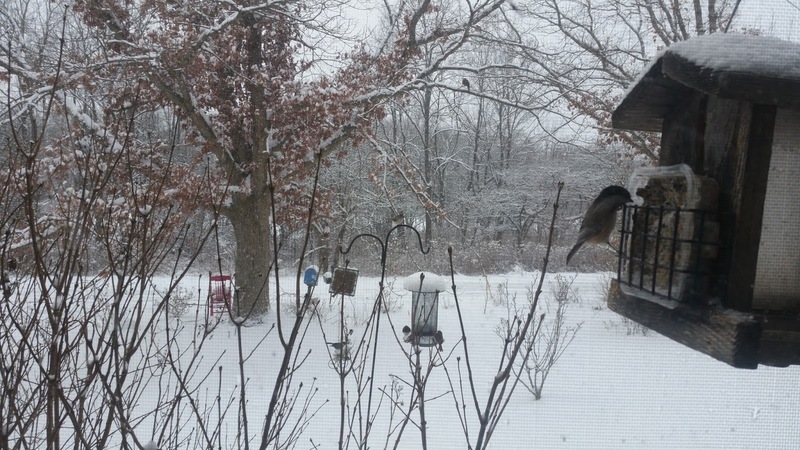 I love your curious chickadee in his "feathered black cap," Amy. 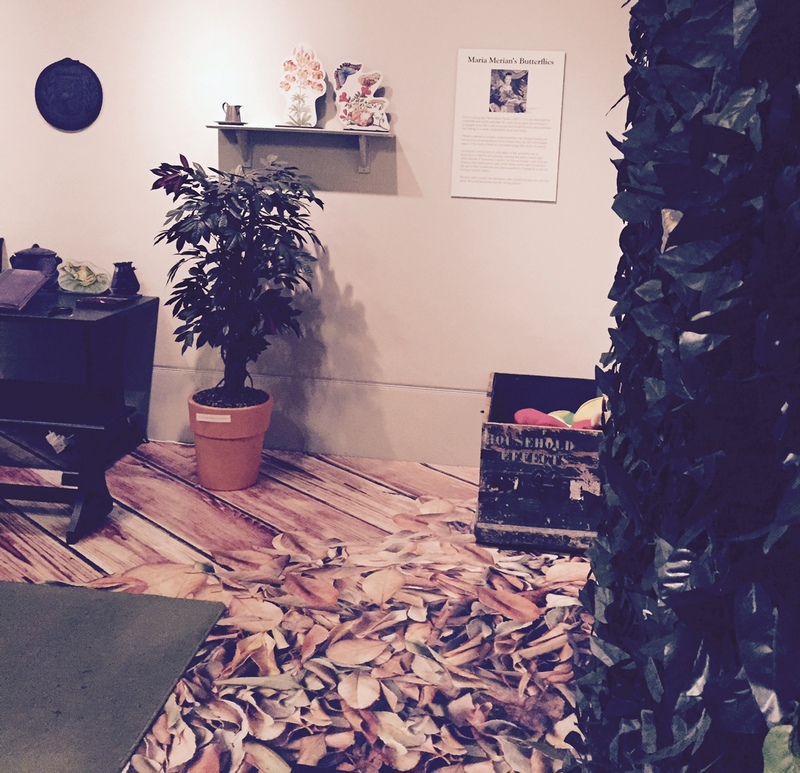 I am in awe of what Jeannine has accomplished in Finding Wonders. The poetry in this book is breathtaking. I love this detail from Jeannine about her process: "Reading enough and getting the details till I feel like I have a special key." Taking that to heart and sharing with students! You know, I have a student that stops into the library every two to three weeks and challenges me to find her a book with a happy ending. It's getting harder and harder as the year progresses. I'm going to have her visit your site. You have a way of being extraordinarily positive in your poetry while posing wonderful questions and observations. Love this review. Love this book! Can't say enough good things about it. Have a great week! I love your wonderings about birds and your chickadee poems. Chickadees make me smile. We even have them here in the south. I have Jeannine's book on my Must Read list. I finally met her at NCTE and loved, loved Stone Mirrors. Her poems are full of thought and wonder and beautiful language. Someone I want to emulate. I absolutely LOVE Finding Wonders! It is such a lovely book, and a beautifully written celebration of women and science. One of my favorite reads this year :). Amy, I love your wondering Chickadee. Now I am wondering! Jeaninne's poems grab me and I want more. I know my 7th graders will feel the same. I can't wait to share this book with them. I also plan to seek out her other titles! Love Maria's tender protectiveness in "The First Secret." Such a contemplative feeling for the reader at the conclusion. I just discovered that I won a copy of Jeannine Atkin's book. Hooray! I'm writing you now, Amy!